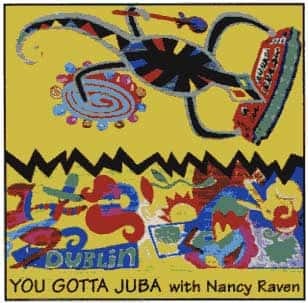 Nancy Raven — You Gotta Juba! Nancy Raven’s infectiously upbeat collection of children’s songs, many of which encourage listener participation. Budding reggae fans will bop to the calypso of “Monkey Can Do”, and rumor has it that “Un Elefante” is an enormous hit in the schools. The style is sparse, acoustic-based folk, and teachers find these delightful tunes ideal classroom fare.